As I sit here in the Nonclassical office, listening to Radio 3 broadcasting female composers, surrounded by my female colleagues, I have been pondering on what International Women’s Day means to me. And what it means to Nonclassical. I have always believed Nonclassical to be egalitarian and diverse, even though I am well aware that gender equality is only the start (and true diversity is especially pertinent in the classical music world). 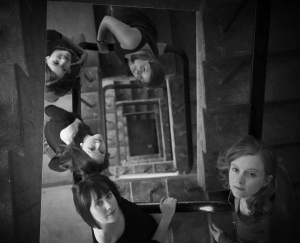 We have released albums by all female ensembles including Consortium5 and juice vocal ensemble, alongside the wonderful Aisha Orazbayeva, Génia and Tansy Davies, and three-quarters female Elysian Quartet. When creating our Associate Composers scheme way back in 2015, it just so happened that we ended up with two male and two female composers. And when we were shortlisting the composers, artists and performers that we wanted to include in our upcoming ‘Outside the Lines #2’ EP, we realised that they were all female. The EP will feature Zoe Martlew, Cecilia Bignall, Ayanna Witter-Johnson, Midori Komachi, Charlotte Harding, Freya-Waley Cohen, Beth Higham-Edwards and Gabi Swallow, amongst others. All of this has been by accident rather than design. And it’s something that I’m rather proud of. As a female-led music organisation, I felt it important to showcase women in our upcoming Rise of the Machines orchestral club night. We have the mighty Jessica Cottis conducting the Nonclassical orchestra, and 40% of the commissions for the brand new Concerto for Drum Machine & Orchestra are female. Alas, the rest of the programme is still fairly male-centric (maybe because of our focus on the impact of computers and AI on music – though that, too, is changing), but I hope that by making a concerted effort to pick the best composers, conductors and artists – who just happen to be female – we can make it the ordinary rather than extraordinary.